Concrete is responsible for 8% of global carbon emissions. As a British MEP I belong to a critically endangered species up there with the tiger, the rhino, the orang-utan and there is nothing quite like impending dodo status to sharpen one’s focus and prioritise your time. So before my political obituary is written there are three things that I want to see agreed to in the North East of England: the planting of three new forests, the construction of at least one Cross Laminated Timber factory and an increasing percentage of residential and commercial properties built from wood. Trees sequester carbon, so if we can increase our forest cover we tackle climate change. There are of course a myriad of additional benefits that flow from planting more trees, a reality that was well documented in the Independent Inquiry into Forestry, chaired by the then Bishop of Liverpool, undertaken some 5 years ago and still well worth perusing. A significant increase in forest cover - an additional 50% seems viable across the UK - would ensure the needs of commercial forestry. It would also help enable a diverse planting programme of both deciduous and conifer planting, avoiding the mono culture of much of the past and instead increase biodiversity. Planting trees is back breaking work, it’s manual labour, and it’s the kind of job we – Labour - could do with creating more of as we seek to deliver work for all. The management of forests is also a provider of employment and research findings tell us that forestry employs the same number of people per hectare as farming, and pumps more money into the local economy. Currently only 7% of the sawn soft wood used in the UK is home grown. With just 13% of the UK covered with trees, one of the lowest levels in the EU where the average is 37%, the need to plant more commercial forestry is high. Yet current tree planting is pathetically low. England plants so few trees that an entire year's planting could be done by three people! Around a ton of carbon is stored in every meter cubed of timber, but the significant additional climate win will come from substituting concrete and steel with wood in the construction industry, or more specifically engineered timber such as Cross Laminated Timber (CLT). CLT has the structural strength of steel and concrete thereby enabling construction at both height and at scale. 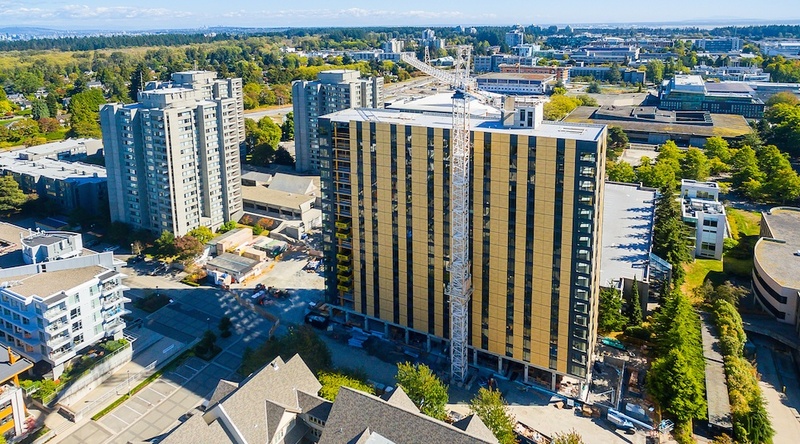 Currently, the tallest wooden building in the world is to be found in Vancouver, Canada, an 18-storey student accommodation block. Within the year however Vienna, Austria will move into poll position with 24 storeys. Meanwhile the biggest, as in mass rather than height, wooden building in the world is to be found in London, where architects Waugh and Thistleton have designed a mixed-use commercial and residential block. Alas, the UK currently imports all its CLT but I’m working hard to get a CLT plant up and running in the UK providing good quality jobs. To conclude, by planting more trees and building in wood we can sequester carbon and by substituting concrete and steel, both big producers of CO2, with timber we can sequester yet more carbon. Tackling climate change can create jobs. Do come to Sheffield Paul! Fantastic ancient woods (I am in a Friend’s Group of one of them) lots of parks and open spaces – and now a Labour Council who have not only handed the fate of street trees over to a private company, felling 6000 of them, but are bullying protestors who try to stop them! Intransigence, no wish to negotiate, and now trying through courts to serve injunctions on people who stand under trees -literally the only way left for ordinary people to stop them. I should add that I am a member of the Labour Party.